We have a very high success rate in treating difficult cases that have failed to respond to traditional medical approaches. If you’ve tried ‘everything’ and nothing has worked, there’s a good chance we can help. 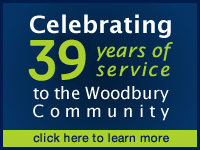 For over 39 years, Woodbury chiropractor, Dr. Steven Levy, has been enhancing the community’s health and life through chiropractic care. Your health is our priority. Whether you’re suffering from a personal injury, automobile accident or you’re looking to enhance your overall health and wellness; Dr. Levy has the knowledge and experience to help. 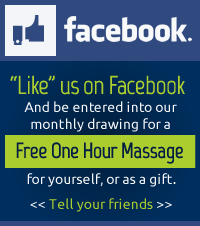 We’ll make your visits comfortable and productive, speeding up your recovery and getting you back to life. If we can help, we’ll let you know. If we feel another medical approach is better, we’ll help with those referrals. 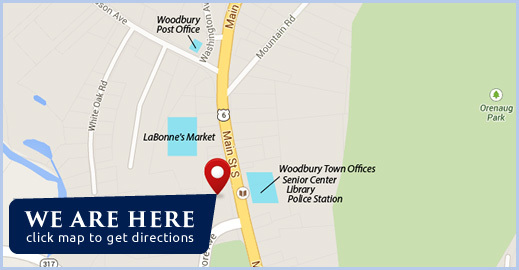 At Woodbury Chiropractic Center, your health is our priority. 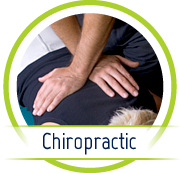 Our chiropractic patients looking for a cost-effective approach to their health know that Woodbury Chiropractic Center is the answer. Dr. Levy has the knowledge and experience to help! website and find out how your care is tailored to your size, age and particular health needs. We make it a point to explain everything in advance and answer any questions you have. 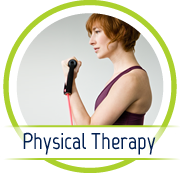 Our goal is to help you heal thoroughly and ultimately live the best life you can! Are you ready to see how great you can feel? If we can help, we’ll let you know. so we can discuss how chiropractic care can enhance your life. Dr Levy and the staff know their business very well and provide excellent healing results. Listen, I don’t want you to think you are perfect but pretty close. I can walk without pain. Great experience, always on time, no waiting, and very thorough explanations of issues/remedies. Thanks! I was very pleased that the approach was to understand my back problems and to want to know how to effectively treat it (i.e., x-rays). This approach was an important factor in pursuing treatment. Until my first and subsequent visits to Dr. Levy’s office, I can’t ever remember such a welcoming atmosphere. No matter how busy the staff may be, there is always a smile, and concern for my comfort. Dr. Levy is knowledgeable, honest, engaging, and, I feel, genuinely interested in helping me. Dr. Levy is very thorough and explained my situation so that I can understand easily. Everyone in the office is very courteous and friendly making it a pleasant experience to be there. I am already telling family & friends, if they need a chiropractor — Dr. Levy’s office is where they should go. Very friendly and welcoming. They make you feel like you have known them for years. I highly recommend Dr Levy and his staff! I am experiencing greater ease when walking much less leg pain that I have had for years overall I am hopeful that I will achieve greater mobility and less pain. Great practice! Cheryl is the best office administrator!! I would be very likely to recommend Dr. Levy to others. Overall attention and service from staff was excellent. Thank you. So thankful I found you guys! Everyone is so caring and helpful! I appreciate everyone being so kind and so helpful. Great staff. Everyone super nice and helpful. You really see that they care about you and your well being. I can’t remember when I’ve been in any office, whether as a patient or staff, in which the staff have been so friendly and warm. Very nice atmosphere in the office, pleasant staff and Doctor. Very nice and professional care. Everyone in the office is efficient, gracious, and fun. My acute problems seem better after several treatments. I have become addicted to the “zingy machine”. Ask for it!! Dr. Levy and staff are all wonderful, very caring and supportive in all aspects of care. Would highly recommend them for all chiropractic treatments and services. Very happy! Everyone in the office is very knowledgeable and personable. Great staff. Dr. Levy is awesome and knows what he is doing. I felt relief after my first session. The staff and Dr. Levy are professional, caring and kind. It’s safe to put your trust in them to help you be the best you can be. They play the Beatles! That alone is a vote of confidence. Also, professional massage services are a plus. They helped the sore muscles tremendously. Three weeks of visits and I already feel better. I have been to 3 Chiropractors. One of them was in the 1980’s. A lot has changed since then. I have shown dogs for many years. So I give this Office The Best In Show Award. I feel welcome and at ease as soon as I walk in the door. I feel through treatment I can continue to work and enjoy my life. It is very comforting when you meet a new doctor and he or she sits down near you (not behind a desk) to talk about why you are there. Entire staff all pleasant and happy signs that they all want to help in your recovery. Thank you for your professionalism and friendly approach. You’re doing it all right. So glad I found you. The staff here is very pleasant. I have never had to wait any longer than a few minutes. They are always right on schedule. Very accommodating. 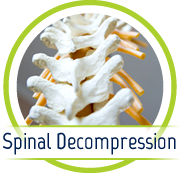 I would recommend this practice to anyone suffering from back or neck trouble. 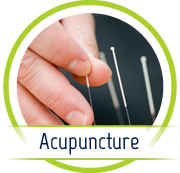 All of them do their best to put you at ease and relieve your discomfort. They are extraordinary – as is Dr. Levy, who I now rely on and trust with my care. I am grateful to him for his patient attention and his willingness to work with a skeptic until I came a believer in his professional skills and expertise. The staff are all very nice to deal with and knew me by name by my second visit! I have always been seen in a timely manner, and am very happy with my care here. Thanks to Dr. Levy, I have been able to walk almost painless for the last 3 months of my pregnancy! Pleasant atmosphere and very well mannered staff. Staff is very attentive to their patients. I’m so thankful to be back under the care of Dr. Levy and his amazing staff! Many years ago, I achieved tremendous success as a patient. Now, I’m hopeful that more than 10 years later, I will find the same pain relief. Couldn’t ask to be in better hands. Keeping positive thoughts!